Women of the Word is a weekly Bible study, taught by Anna Chatelain. It meets every Wednesday at 10:00a. This semester will be a study from 1 Thessalonians in the Life Change series. For information about the next meeting, check out the LCC Calendar. MOPS is a ministry dedicated to serving moms with children ages 0-5 years old. Click here for more information. 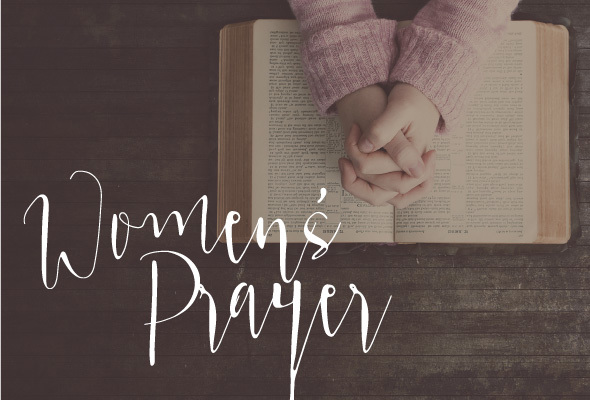 Women meet for prayer every first and third Friday morning of the month at 10:30 am. For the information on the next meeting, check out the LCC Calendar. God's Pearls is a Senior Ladies group that meets every other Friday for a luncheon with either a teaching or activity to follow. It is free and open to all senior women. Please join us for food, teaching and fellowship. For the information on the next meeting, check out the LCC Calendar.